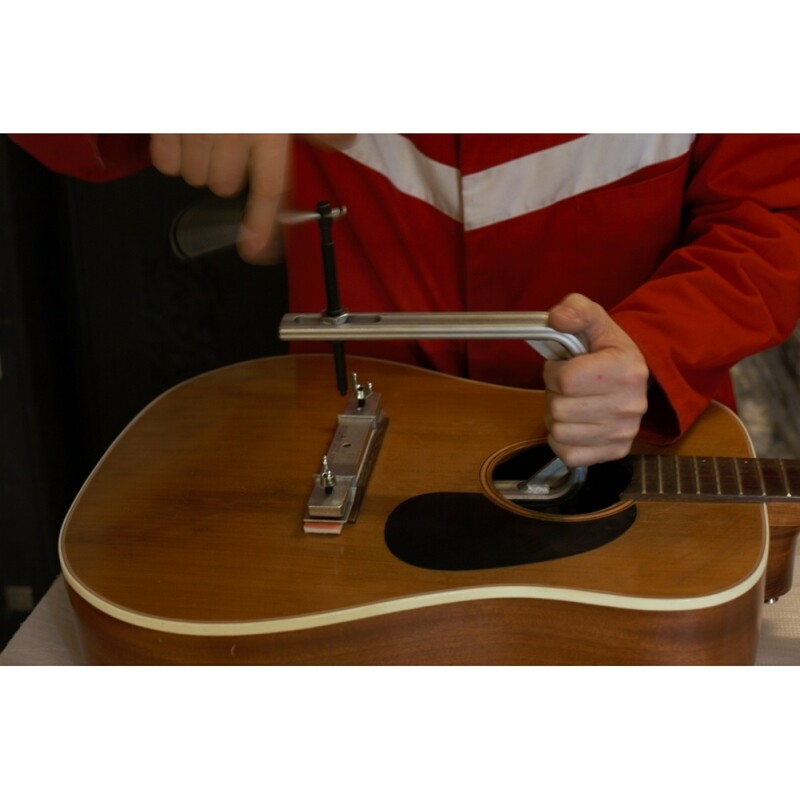 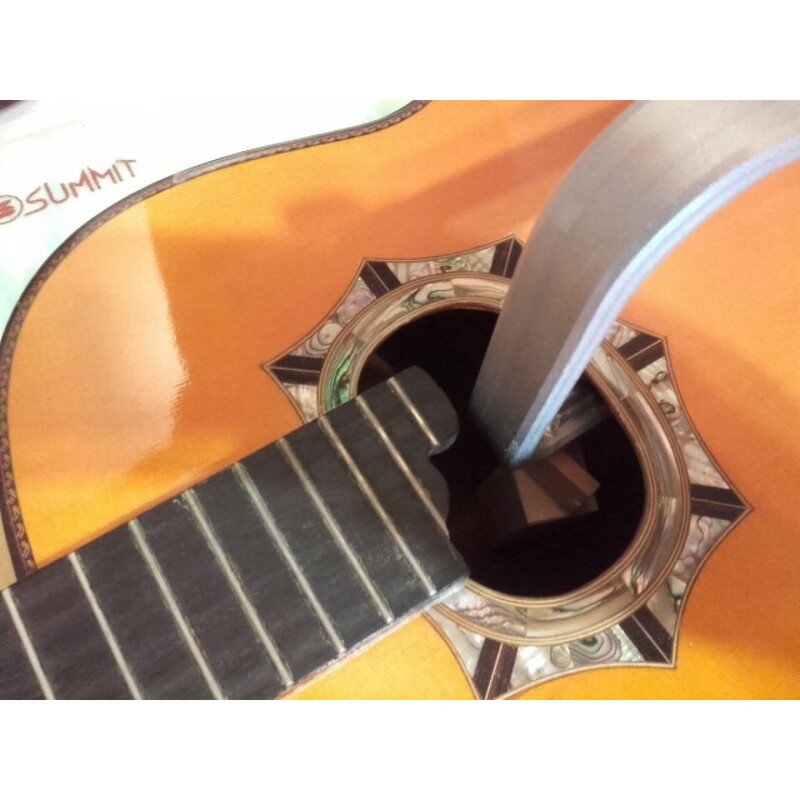 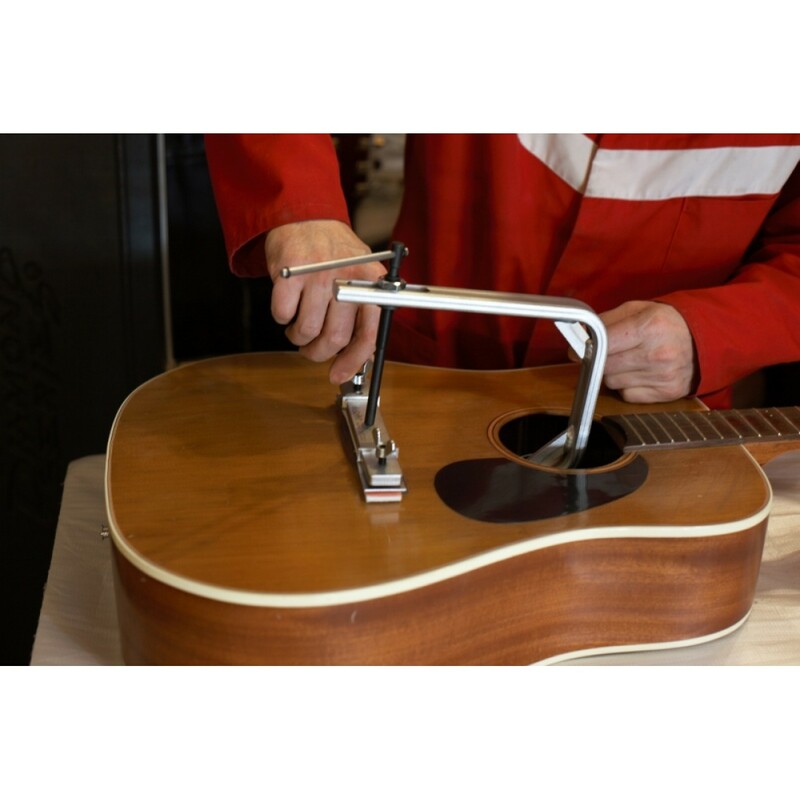 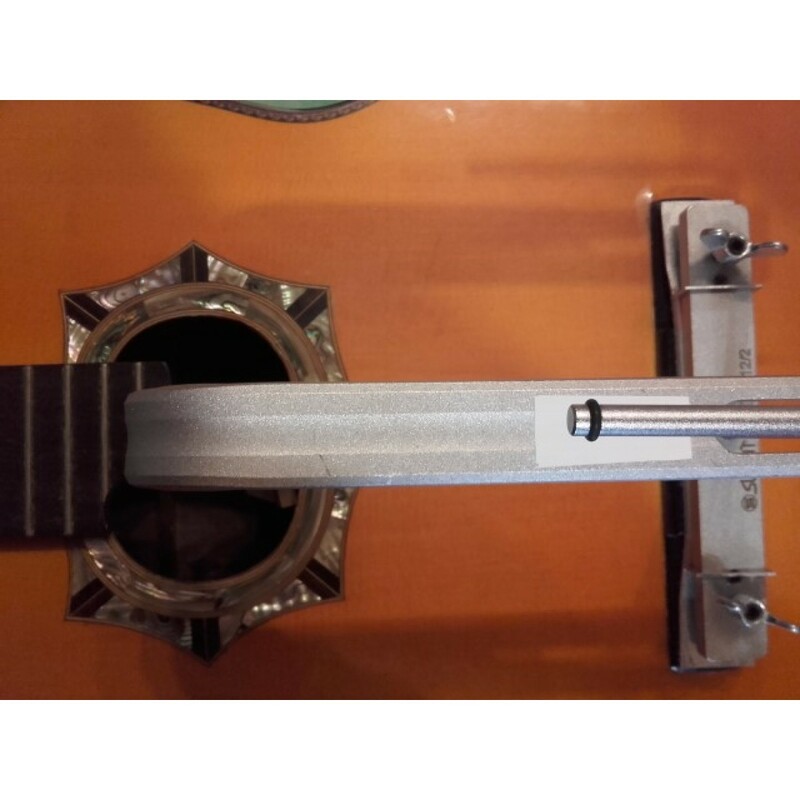 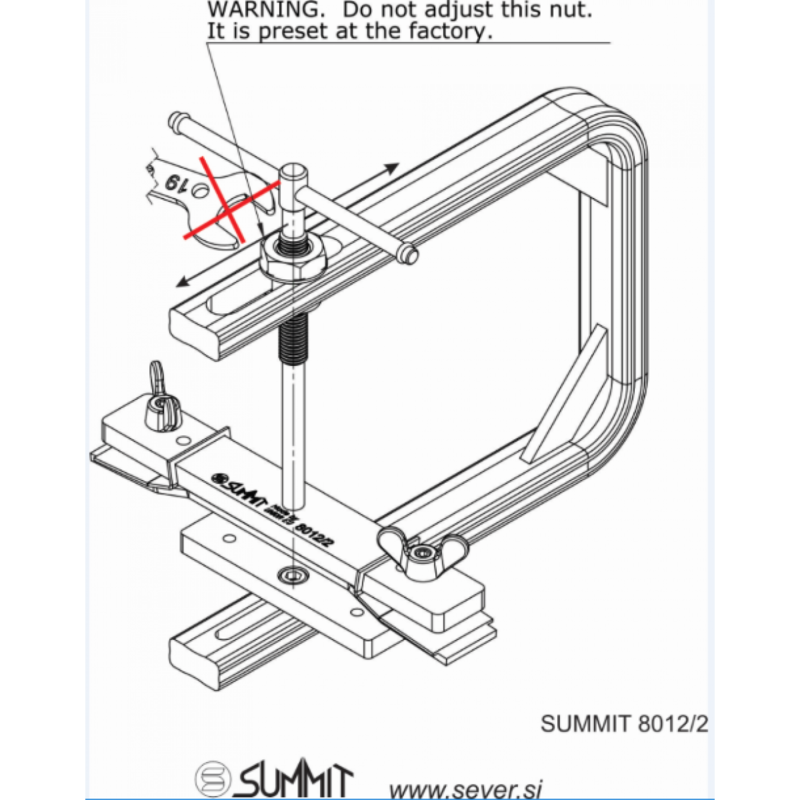 SUMMIT adjustable fast bridge clamp for easy, fast and accurate gluing wooden bridges on classical and/or acoustic guitars, also for acoustic bass. 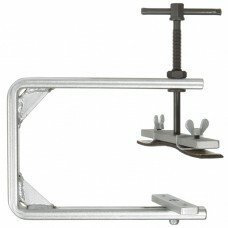 Perfect with the non stick plates to avoid gluing action where you don't want it. 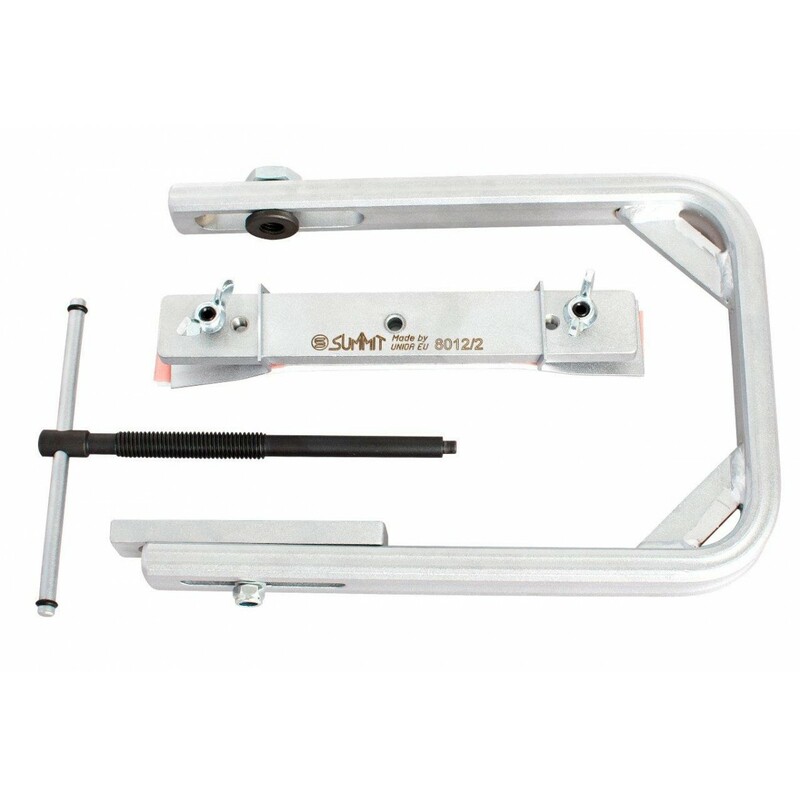 Heavy duty tool, weight 1,51kg, hardness 40-45HRc. 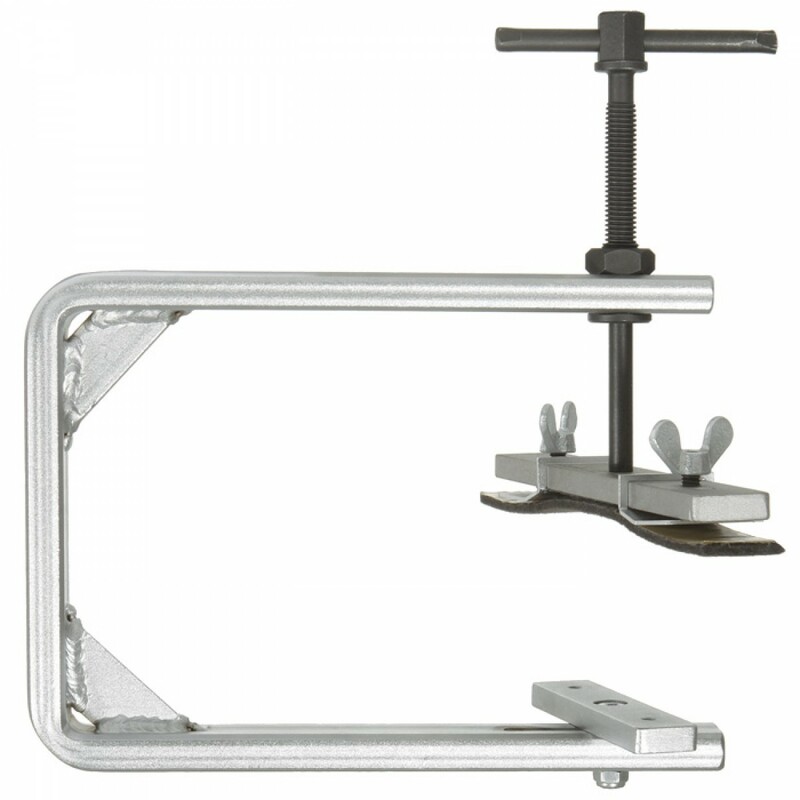 From forged material, industrial quality. 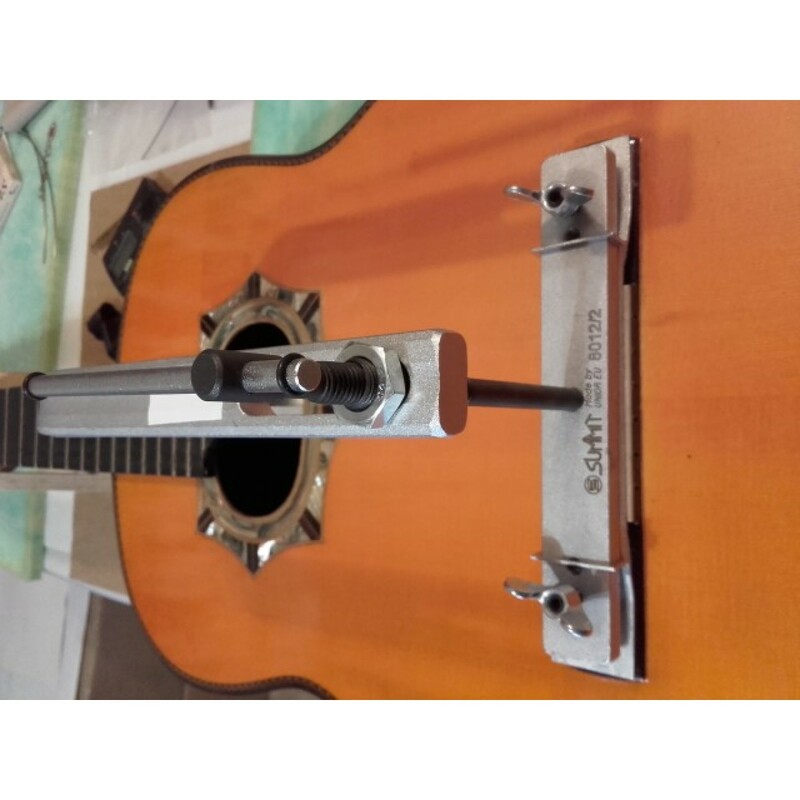 The easiest, fastest and accurate way to glue the wooden guitar bridge on any type of acoustic guitar (classical, folk, acoustic bass...). 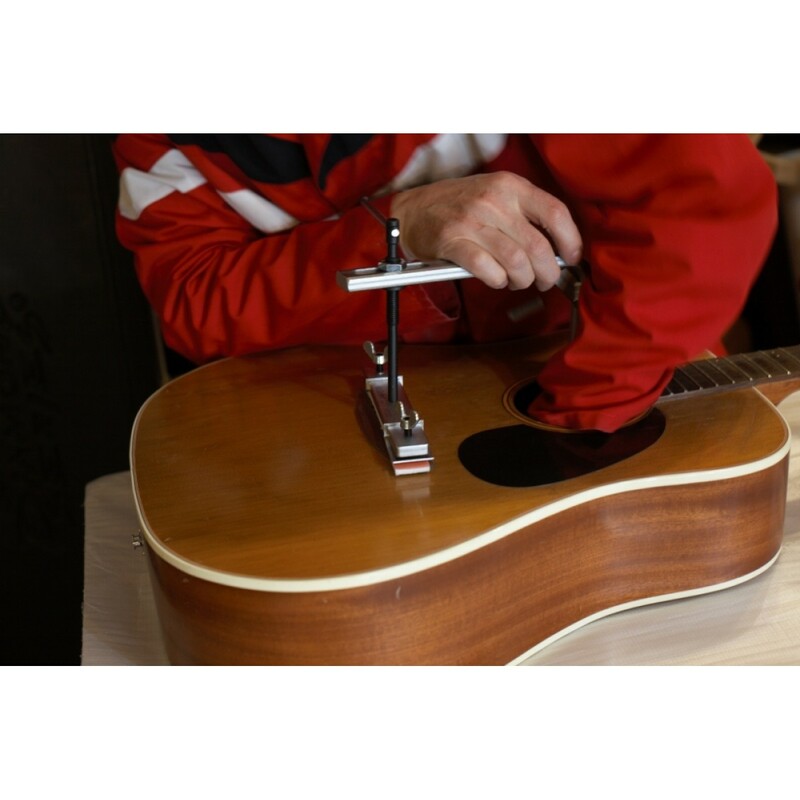 Suited also for elliptical soundholes (see pictures). 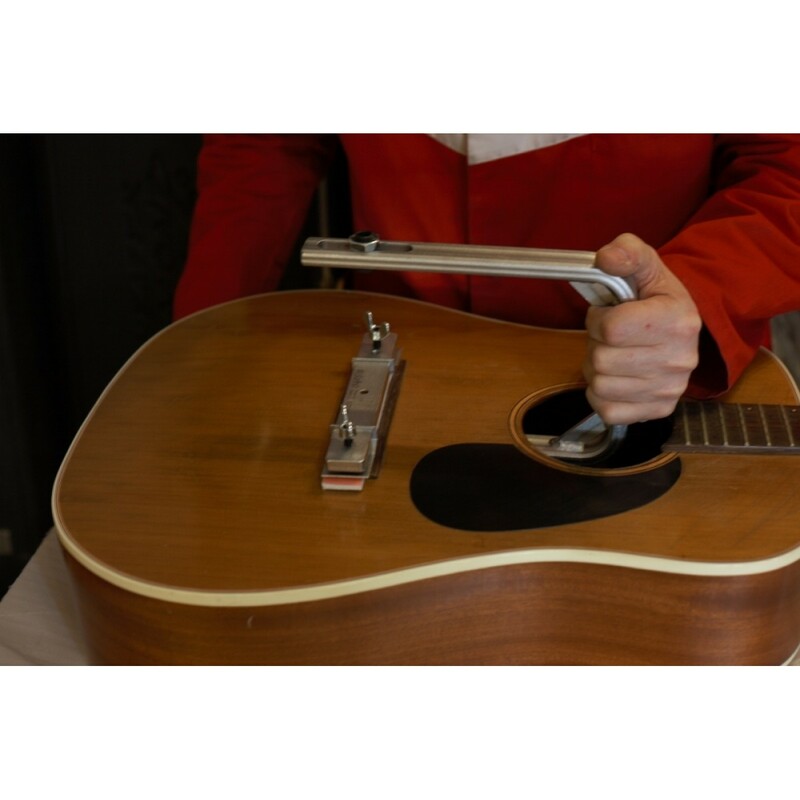 Huge time saver- fully adjustable. 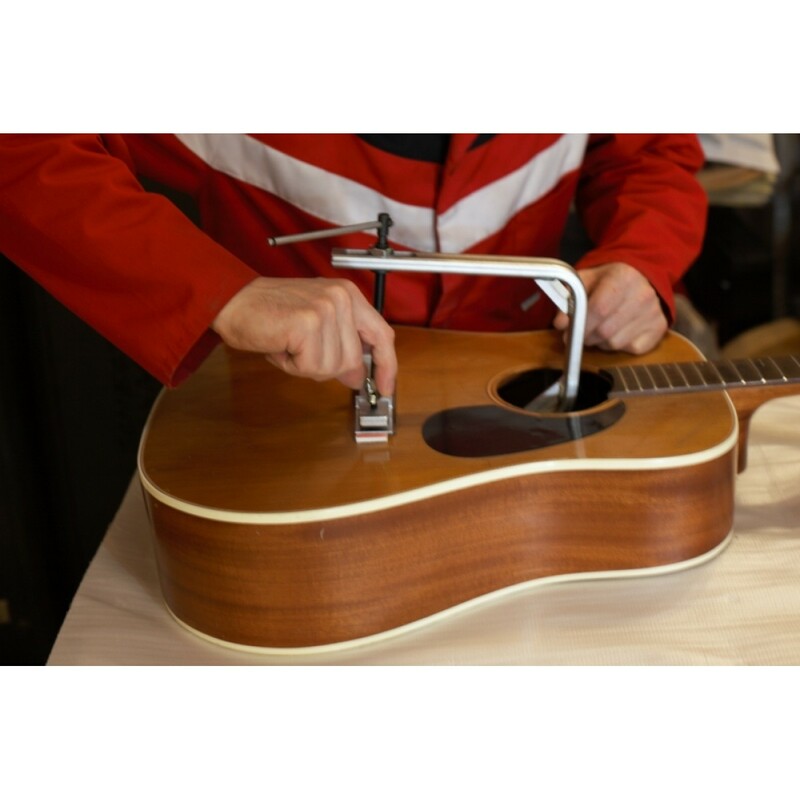 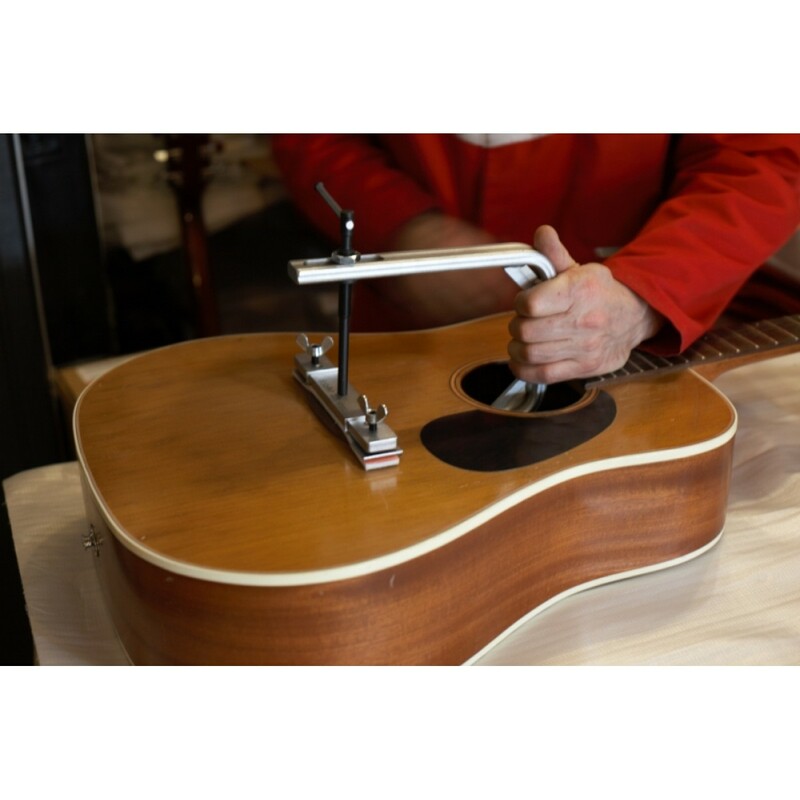 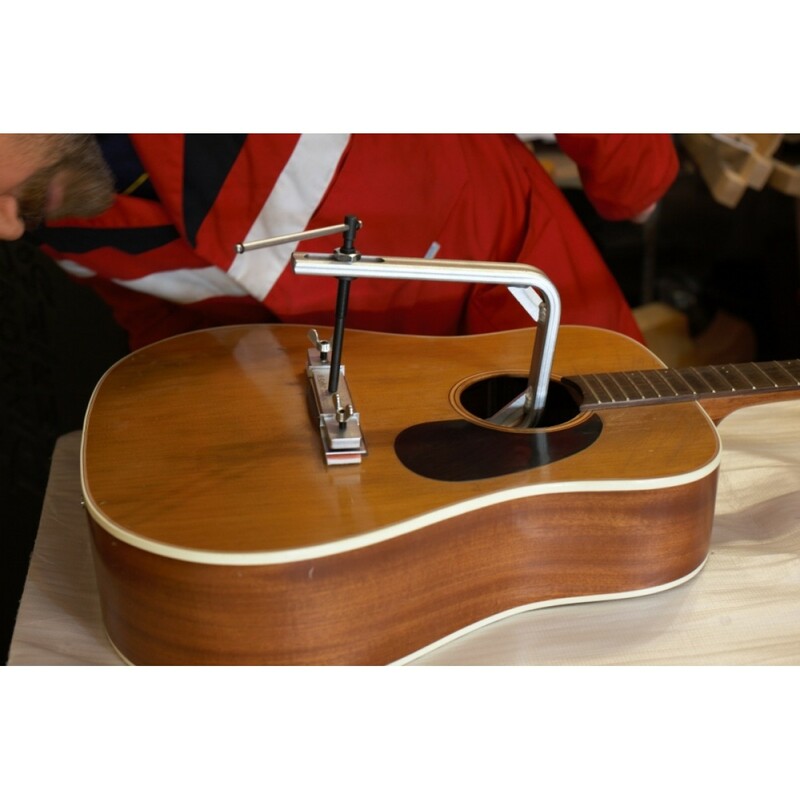 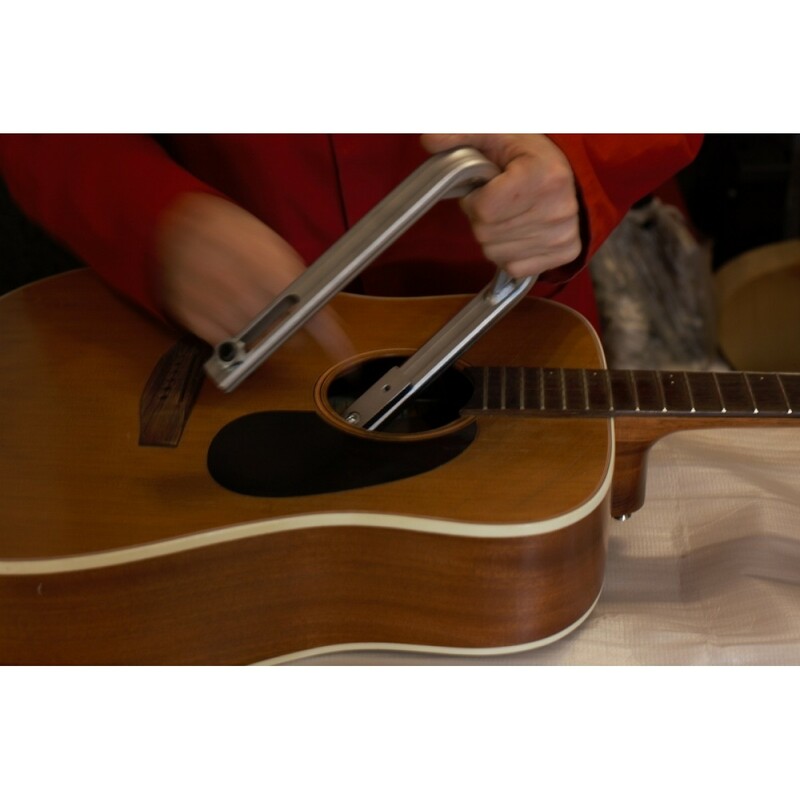 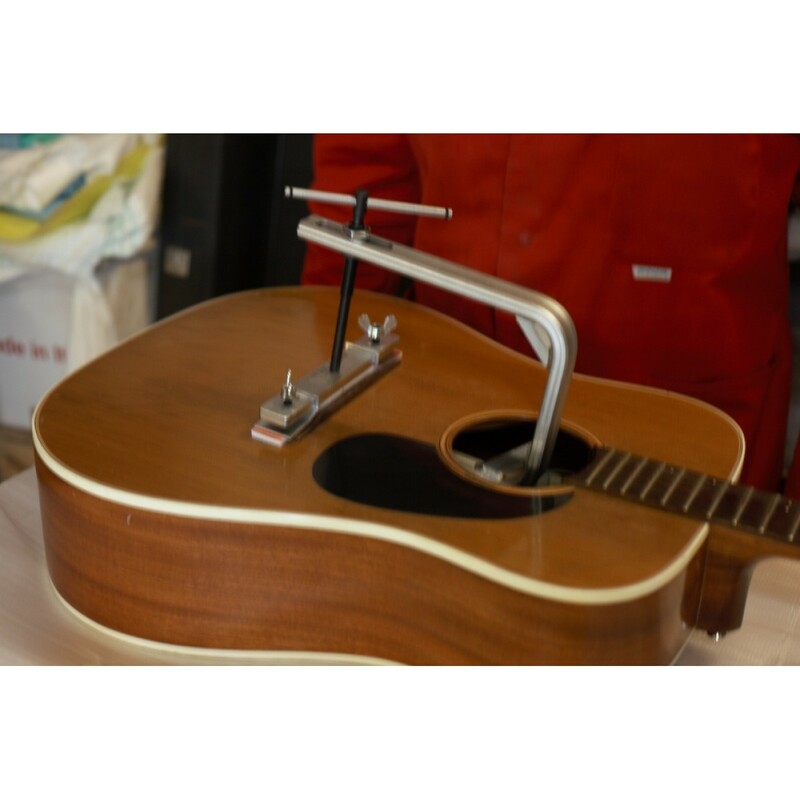 Gluing the wooden guitar bridge has never been easier and faster, but without compromising with accuracy!